Every tradesman knows that, apart from their skills, they also need to rely on their equipment. Whether you’re a carpenter, plumber, or electrician, there will be a time when you need to update your tools and machinery, but equipment can be expensive and the last thing you want is to restrain your cash flow. If you need to get new equipment that’s essential for your job, you may want to think about alternative business finance. By now, there are many options of external funding for all kinds of businesses — the most difficult part is finding the most suitable one for your purposes. Let’s take a look at a few different types of finance, and how they can help you acquire new equipment. Before we get into the financial details, it’s important to note that most lenders offering equipment finance are focused on ‘hard assets’. That means you can finance things like vans and machinery, but not ‘soft assets’ like power tools or computers. A very convenient option to finance your equipment is hire purchase. It allows you to spread the cost of equipment over time, and pay in monthly instalments — once all the instalments have been paid, you’ll own the item. Bear in mind, you’ll usually have to pay a 10% deposit and all of the VAT upfront. It’s also worth mentioning that, although you technically don’t own the equipment right away, the maintenance and insurance costs will usually be up to you from day one (although this depends on the lender’s terms and conditions). Hire purchase might be the right choice for you if you want to purchase expensive equipment for the long term, but don’t want to commit a large cash sum up front. A similar option, but a bit more flexible, is equipment leasing. This form of funding may also be called an operating lease, and is basically a long-term rental of an asset. It gives you access to expensive equipment without having to buy it, and all you have to worry about is a simple monthly payment. The main difference between leasing and hire purchase is that with leasing, at the end of the term you’ll need to return the asset. You never own the equipment, and simply use it for a set period of time. This can be really useful because it means you can upgrade by starting a new lease. This way your business can stay up-to-date with the latest business equipment every few years, rather than committing to one model. In contrast to hire purchase, you also don’t have to worry about maintenance or insurance since the lessor will normally be responsible for it. Another way of getting new equipment without restraining your cash flow is by using a revolving credit facility. It is similar to a business overdraft, which means you’ll have a pre-approved credit limit which you can dip into whenever you need additional funds. This type of working capital finance can be a useful safety net for your business if you’re thinking about buying new equipment. Revolving credit facilities are a ‘rolling agreement’ rather than a business loan. The lender will usually specify how long after drawing down funds you’ll have to make repayments, and you normally only pay interest on what’s outstanding. All this makes revolving credit facilities a very flexible solution, and a good alternative to business overdrafts with your high street bank, which are difficult to get these days. However, you should bear in mind that the credit limit might not be high enough for the business equipment you need. If your business needs large machinery that would exceed the credit limit of your revolving credit facility or an overdraft, you could consider a business loan. There are two main forms of business loans — unsecured and secured. Unsecured business loans don’t require any collateral, which means your business’s financial position needs to be strong. Most lenders will want you to give a personal guarantee too, which means you’ll be personally responsible for the loan if your business defaults on payments. With secured business loans, however, you can use assets that your business already owns to secure the loan. The amount you can borrow is based on the value of the existing assets — but bear in mind that this means the lender can seize your assets if your business can’t pay. With unsecured business loans you’ll usually have a lower loan amount and interest rates tend to be higher, because the lender carries most of the risk. Secured business loans, on the other hand, take more time to get approved because of the thorough due diligence processes like valuations. 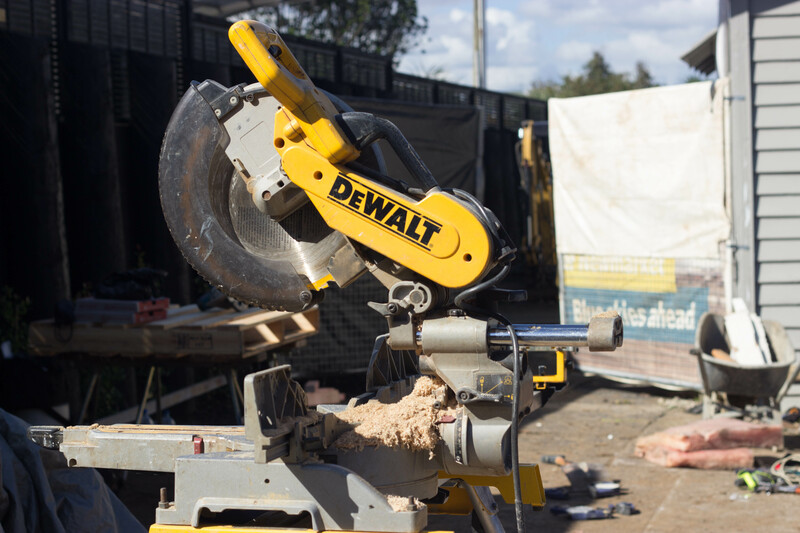 Whether you need a cement mixer, a table saw, or a water jetting machine — there’s finance for it. The most difficult part is to find the finance that is most suitable for your situation. Additionally, the type of funding you need depends on what you’re looking for: do you need a quick solution, is up-to-date equipment important to you, or are you looking for a long-term option? If you’re not sure what’s the best fit, Funding Options can help you find the best equipment finance option for your business. Bought to you from the team @FundingOptions.